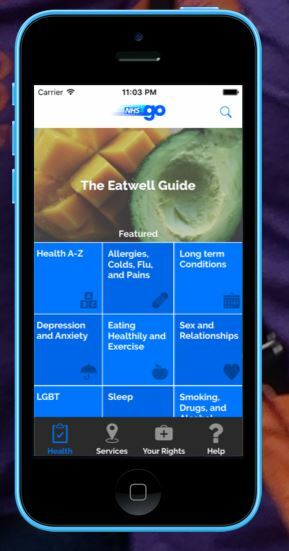 NHS Go is an app which helps young people take greater control over their health from an early age; make healthier choices and get advice and information on health issues from a trusted source when they don’t know where to go. NHS Go has been developed by Healthy London Partnership, a partnership between all 32 London Clinical Commissioning Groups, and NHS England (London region). The app can be downloaded via the NHS Go website, the Google play store or the Apple App Store.